Apple's iPhone 8 and iPhone 8 Plus mark the tech giant's first foray into wireless charging, and for those curious just what cars will support the new power-up method, if any, Apple has some news for you. Apple today provided a list of all the auto manufacturers that make cars with built-in Qi-certified wireless chargers. Qi is the wireless charging standard supported by the latest iPhone models. Cars from the following makers will charge your iPhone 8 or its larger counterpart, size of the charging pad permitting, without you needing to plug your device in anywhere. It's a small convenience, but you might as well get the most out of your phone's flashy tech, right? Though not listed by Apple, the iPhone X, which launches on November 3, will also likely work with wireless chargers in these same cars. This isn't quite the complete list as certain 2018 models from Buick, Cadillac, Chevrolet and GMC also support iPhone 8 and iPhone 8 Plus-compatible Qi wireless charging. 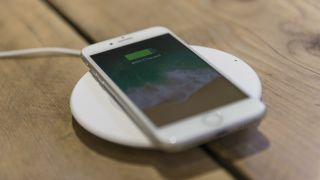 According to Apple, the way wireless charging was implemented in 2017 and older models from the above manufacturers doesn't meet Qi standards, and therefore won't work with the iPhone 8, 8 Plus or iPhone X. The list of supported cars and models are consistent across the US, UK and Australia, so you should be able to plop your new iPhone on a charging mat in any of these vehicles no matter where you are and charge up on the go.